IDENTITY:The importance of including our vernacular language in education, especially in Cameroon. I just read this interesting article by a Cameroonian professor in Indiana. He discusses the importance of incorporating our mother tongues in education. Reflecting on the article, it makes me question the reason we are not taught in our dialects in school. I can understand the reason we do not learn Ewondo in school in Yaounde, it is mostly urban. But for villages and small town settings, I feel the indigenous language should be part of at least primary and secondary school education. Are we at risk of losing our own identify to English and French, plus extinct our fundamental ways of verbal expressions if we keep pushing for foreign/colonial master’ language? The language question in Cameroon has become the elephant in the room. Of all the burning issues that continue to plague Cameroon, the language question is the most problematic. This paper argues that Cameroon’s Official Bilingual Policy has fallen short of expectations. We propose a Quadrilingual Language Policy that would lay the foundation for effective Multilingual Education that guarantees national unity and integration. Our model incorporates Cameroonian official languages, indigenous languages and a lingua franca—in our case Cameroon Pidgin English (Cameroonian Creole). The merit of this MODEL is that it would normalize Cameroon’s linguistic anomalies. More than five decades after gaining token independence from imperial powers—France and Great Britain; Cameroon still does not have an implementable language policy that protects linguistic minorities. Writing along similar lines, Ayafor (2005)notes that “language policy and planning suffer a political hijacking in which language measures are monopolized by political authority and are used as a form of blindfolding against the civil society and linguistic principles”(138). This political bad faith violates Article 1:3 of Cameroon’s national Constitution which puts French and English at par. It states: “The official languages of the Republic of Cameroon shall be English and French, both languages having the same status. The State shall guarantee the promotion of bilingualism throughout the country. It shall endeavor to protect and promote national languages.” The fundamental flaw of this constitutional stipulation on official ‘bilingualism’ is that it fails to provide a clear working definition. It is not clear what level of linguistic proficiency must be attained by Cameroonian citizens in order to demonstrate officially sanctioned bilingualism. Worse still, the constitution glosses over the dichotomy between individual and state bilingualism. In a linguistically pluralistic nation such as Cameroon, Bilingualism could mean anything from fluency in English and French; English and a national language; French and a national language; Pidgin English and a national language; a national language and another national language, etc. Besides, proficiency in any of these languages could vary from zero to near-perfection. It is in this perspective that Rosendal (2008) makes the following observation: “The extent of bilingualism in French and English in Cameroon is hard to estimate. Bilingual proficiency varies from zero to near perfect at the universities, depending on how semi-bilingualism, functional bilingualism and passive bilingualism are defined.” (25) An interesting dimension of the discourse pertaining to official bilingualism in Cameroon is its correlation with biculturalism. Scholars such as (Echu, 2012; Tadadjeu, 1975; Fonlon, 1963, 1969) have pointed out that biculturalism is an integral component of official bilingualism. Sadly enough, official bilingualism in Cameroon has been treated with such levity that it has virtually been rendered dysfunctional. Jikong (1983) attributes the failed implementation of Cameroon’s official bilingualism to inadequate language planning. That’s why Bobda and Tiomajou (1995) observe that “In Cameroon there is no government position on language policy and planning apart from the statement that French and English shall be the official languages of the Republic”(127). To put this differently, Cameroon’s official bilingual policy has been presented as a mere statement of intent. According to Soule (2013), “the State is doing quite a lot to ensure the promotion of bilingualism, as stated in the Constitution, but is doing very little to ensure practical implementation of bilingualism”(13).There is no legislation on the practice of bilingualism in Cameroon. Consequently, Cameroonians who infringe the constitutional stipulation cited above cannot be held accountable because there is no institution charged with the implementation of the nation’s bilingual policy. Though strongly articulated in policy documents, Cameroon’s bilingual policy remains a mere manifesto on paper. In daily practice, French has dominance over the English language in the spheres of administration, education and the media. The position of dominance accorded the French language is attributable to the absence of an effective language policy that safeguards the rights of linguistic minorities. This status quo does not bode well for the nation’s quest for freedom and identity because as Echu (2004) would have it, “The Policy of official language bilingualism has created an Anglophone/Francophone divide in Cameroon that is seen in recent years to constitute a serious problem for the State” (6). Thus, though conceived to play the role of a unifying factor, Cameroon’s official language policy embodies germs of disunity. The lackluster implementation of the nation’s language policy has been described by scholars as a harbinger of national disintegration (Soule, 2013; Echu, 2004; Ayafor, 2005; Tiomajou, 1991; Bobda and Tiomajou, 1995). Ayafor for instance, argues that “language has become one major factor among the socio-political grievances of Anglophones’ so-called ‘The Anglophone Problem’ since 1980s” (133). The ‘Anglophone Problem’ stems from the second fiddle status assigned to English-speaking Cameroonians by francophone members of government. This probably explains why in English-speaking towns and cities such as Bamenda, Buea, and Tiko, to name but a few, there are billboards and toll-gates with inscriptions written entirely in French. Rosendal (2008) notes that “bilingual policy implies that official documents and laws are published in both languages” (29). These examples lend credence to the fact that English remains a mere afterthought in the minds of government officials in Cameroon. In Cameroon official documents such as decrees and more are endorsed with an official seal and their content implemented without official versions in English. It is not uncommon to find English translations of important government documents fraught with mindboggling spelling and grammatical errors. These are pointers to the fact that the implementation of Cameroon’s official bilingualism has failed woefully. There is no gainsaying the fact that what prevails in Cameroon today is tantamount tolinguicide, a term used throughout this paper to describe the linguistic genocide that has been given leeway in Cameroon. Linguistic genocide is observable in all spheres of government business. In the judicial branch of government, the interpretation of the letter and spirit of the law is left to the whims and caprices of French-speaking judges who are ignorant of how the Anglo-Saxon legal system functions. This has resulted in countless miscarriages of justice. For instance, a travesty of justice was evident during the infamous Yondo Black trial in the 1990s. The National Radio and Television Corporation (CRTV) is another case in point. The preponderance of French news at the CRTV is no secret to anyone living in Cameroon. During electoral campaigns, little or no time is allotted to the campaign speeches of Anglophone opposition leaders desirous of addressing the nation in a bid to sell their political platforms. The language of instruction and daily routine in Cameroon’s armed forces, police and gendarmerie is French. Anglophones recruited to serve in these forces have to fight or flee; in other words, they must learn French or perish. Such is the crux of the Anglophone Problem in Cameroon. To eradicate these policy bloopers and save Cameroon from linguistic disintegration, this paper proposes a Quadrilingual Education System that is linguistically inclusive. Our model is calqued on previous models proposed by two of Cameroon’s most acclaimed experts in the field of early childhood second language acquisition, namely Bernard Fonlon (1963) and Maurice Tadadjeu (1975). The Model that we propose is anchored on the acquisition of four (4) languages: English, French, a National Language and a Lingua Franca (CPE) before the Cameroonian child gets to University. We argue that a quadrilingual education model that gives pride of place to the acquisition of both official and national languages serves as a catalyst for the attainment of national unity and economic advancement; the more so because language constitutes the bedrock of nationhood and self-identity. In our conceptualization of the Quadrilingual Model we have espoused the stance of Tadajeu (1975) who argues that “if language is to be the primary concern of the primary school then there is no reason for not including the vernacular languages in the curriculum at this level”(58). Tadajeu actually echoes Fonlon’s thoughts on this theme: “I must confess that the expression Cameroon bilingualism is a misnomer. It would be correct to speak of Cameroon trilingualism because even before the Cameroon child comes to school to learn English and French, he should have already learnt his own native tongue” (“A Case for Early Bilingualism…,”p.206). Other scholars in this field have argued for the inclusion of indigenous languages in the educational system in Cameroon (Mba and Chiatoh, 2000; Todd, 1983; Chumbo, 1980; Ngijol, 1964; Achimbe, 2006). 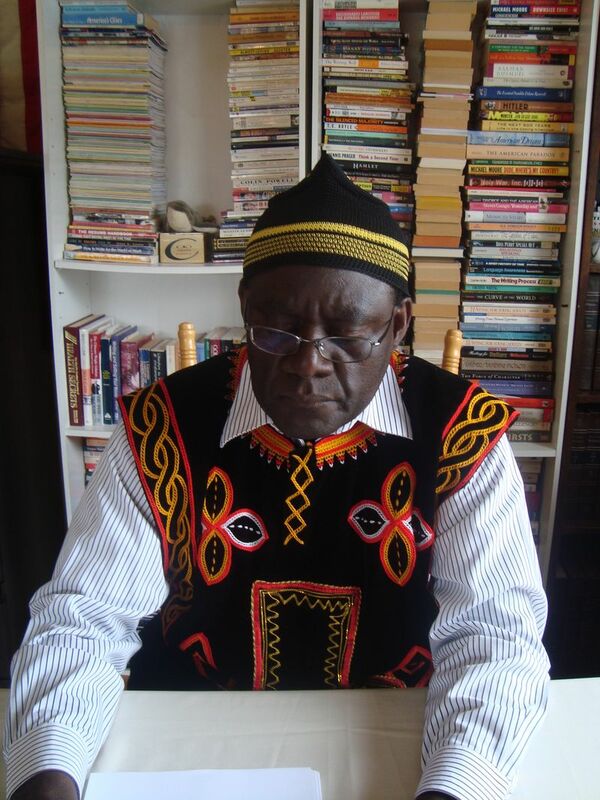 Achimbe argues that the language education policy in Cameroon largely ignores the importance of national languages. As he puts it: “In promoting its bilingual language education policy, the government has largely disregarded the multilingual make-up of the country. Indigenous languages play only a secondary role…” (96). Similarly, Tadadjeu advocates the inclusion of national languages in the education system in Cameroon in his trilingual Education Model. The Quadrilingual Model proposed in this paper envisages the inclusion of a lingua franca (Cameroon Pidgin English) for several reasons. Pidgin English is very crucial as a communication bridge, for it links an Anglophone to a Francophone. It also links an Anglophone to another Anglophone, an educated Cameroonian to another educated one, a non-educated Cameroonian to another non-educated one, and more importantly an educated Cameroonian to a non-educated one(87). Ayafor (2005) recognizes the importance of lingua franca in language planning in Cameroon when he underscores “the role of Pidgin English as a linguistic bridge between the two linguistic communities both in official and private domains” (128). He further notes that Pidgin English in not only the most widespread variety of English but it is the only language in Cameroon with the pragmatic ability to function as a contact language for all linguistic groups. The third reason for including Pidgin English in the Quadrilingual Model is that Pidgin English is no longer just a language of the streets. It has evolved into a medium of literary expression. Cameroonians are now producing works of literature in Pidgin English. A few examples would drive home the point: Majunga Tok: Poems in Pidgin English(2008),CamTok and Other Poems from the Cradle (2010), African Time and Pidgin Verses(2001)Stories from Abakwa (2008), Je parle camerounais (2001), Moi taximan (2001)andTemps de chien (2001). What we would like to do at this juncture is provide a succinct description of the Quadrilingual Model. In our conception of a Quadrilingual Education System in Cameroon, we have made a clear distinction between a first official language(O1), which is the medium of instruction and the second official language(O2) which is a subject to be learned at school. At the same time, we have underscored the dichotomy between a national language (indigenous language) and a lingua franca (hybrid language used as a means of communication among speakers of other languages). The long-term objective of the Quadrilingual Education System would be to prepare Cameroonian learners linguistically for university studies. The ideal would be to see each Cameroonian child literate and fluent in their mother tongue or a related regional language, the two official languages as well as a lingua franca as they work their way toward university studies. To be labelled fluent, the individual must be able to function at level 3 of the Inter-Agency Language Roundtable Scale of Descriptors. At the primary school level, the mother tongue should be the medium of instruction and the first official language (English for Anglophones and French for Francophones) would be a curricular subject. This stipulation would apply to both rural and urban schools. A proportionate number of indigenous language teachers will have to be trained in order to see this project through. At secondary school level, a gradual switch would be made to the learner’s first official language (English for Anglophones and French for Francophones) as a medium of instruction. The mother tongue, lingua franca and second official language (French for Anglophones and English for Francophones) should become curricular subjects.This model ensures that learners are exposed to three languages before they get to High School.By the end of secondary school, the Cameroonian child should be Quadrilingual in the strict sense of the word as it is used in this paper. At high school level German, Spanish, and Latin courses should be replaced by courses in Cameroonian indigenous languages. Also, some language majors would be encouraged to participate in indigenous language literacy programs. No specific modifications are anticipated at this level as regards the teaching of French and English, except where instructional pedagogies are concerned. At university level two things could occur. i. The extension of current indigenous language courses in a bid to transform them into inter-lingual translation courses covering all national languages as well as Pidgin English. Program designers and coordinators could conceive incentives that would encourage a greater number of students to sign up for languages related to their own mother tongues if there are no courses in their mother tongues. ii. Students with linguistics as minors or majors could be encouraged to take indigenous language literacy courses that would enrich their mastery of the phonology, morphology and syntax of indigenous languages. This paper has unearthed the root causes of the bilingual policy abortion in Cameroon. Incontrovertible evidence has been unraveled to lend credence to the contention that Cameroon’s language policy is a non-starter and has, therefore, failed to serve as guarantor of national unity and territorial integration. To fill this lacuna, this paper has proposed a Quadrilingual Blueprint that is inclusive of Cameroonian national languages and Pidgin English. The merit of this paper resides in the fact that it has broadened the scope of the national language policy discourse in Cameroon by arguing for the inclusion of indigenous languages and Pidgin English. Most importantly, it has made the point that national language policy decisions ought to be made on the basis of sound pedagogic principles rather than on the whims and caprices of uninformed political role-players. Achimbe, Eric A. “Anglophonism and Francophonism: The Stakes of (official) Language Identity in Cameroon.” Alizés: Revue angliciste de la réunion 25/26(2006): 7-26. Amvela, Zé. “English and French in Cameroon: A Study in Language Maintenance and Shift.” In Echu G. and Grunstrom, W.A. (eds.) Official Bilingualism and linguistic Communication in Cameroon. New York: Peter Lang, 1999. Policy?’ Proceedings of the 4th International Symposium on Bilingualism. Ed. James Cohen et al., Somerville: Cascadilla Press, 2005. Bobda, S. and Tiomajou, D. “Integrating ESL and EFL: The Cameroonian Experience,” In British Council, Senegal. Across the West African Divide. Proceedings of the West African English Language Conference, Mbour, Senegal, 1995. Breton, Roland and Fohtung, Bikia. Atlas administratif des langues nationales du Cameroun. Yaoundé, Paris: CERDOTOLA, CREA – ACCT, 1991. Chumbo, B.S. “Language and Language Policy in Cameroon,” In Kofele Kale (ed.) An Experiment in Nation-Building: The Bilingual Cameroon Republic since Reunification. Boulder: Westview Press, 1980. Chumbo, B.S. and Pius Tamanji. “Linguistic Identity across the Borders of Cameroon Triangle,” In Kweshi K. Prah (ed.) (2000):53-74. Echu, G. and Grundstrom, A.W. Official Bilingualism in Cameroon: Francophone Cultures and Literatures . New York. Peter Lang, 1999. Hirsch, E.D. Cultural Literacy: What Every American Should Know. New York: Vintages Books,1988. Kuitche, F. Gabriel. Moi taximan. Paris: L’Harmattan, 2001. Mba G. and Blasius Chiatoh. (2000). “Current trends and Perspectives in Mother Tongue Education in Cameroon,” African Journal in Applied Linguistics (AJAL) No. 1 (2000) 1-2. _____________________. Mbangwana, P.N. “Invigorative and Hermetic Innovations in English in Yaounde.” World Engishes 10.1(1991):53-63. Nganang, P. Temps de chien. Paris: Serpent à Plumes, 2001. Ngijol, Pierre. “Nécessité d’une langue nationale,”ABBIA No. 7 (1964): 83-99. Publishing Common Initiative Group, 2007. Rosendal, Rove. Multilingual Cameroon: Policy, Practice, Problems and Solutions.Gothenburg: University of Gothenburg Press, 2008. Tadadjeu, M. “Language Planning in Cameroon: Toward a Trilingual Education System.” In Patterns in Language, Culture and Society: Sub-Saharan Africa. Ohio: University of Ohio Press, 1975. Tiomjou, D. Bilingualism in the Mass Media in Cameroon: A Sociolinguistic Analysis of Cameroon Radio Television. (Unpublished Dissertation). Yaounde: University of Yaounde. Todd, Loreto. “Language Options for Education in a Multilingual Society: Cameroon.”In Kennedy, Chris (ed. ): Language Planning and Language Education. London, 1983. __________________________. Cam Tok and Other Poems from the Cradle. Bamenda: Langaa RPCIG, 2010. Wolf, H.G. English in Cameroon: Contributions to the Sociology of Language. Berlin: Mouton de Grutyer, 2001. On April 4, 1990, the Yaounde military tribunal was the focus of national and international attention as arguments in the trial of Yondo Black Mandengue and 10 others began.They had been arrested in February of that year for trying to create a political party. Officially, however, the accused were charged with holding clandestine meetings, fabricating and distributing tracts hostile to the Government, rebellion, and insulting the Head of State. Police officers in francophone countries. The following ILR descriptions of proficiency levels 0, 1, 2, 3, 4, and 5 characterize spoken-language use. Each higher level implies control of the previous level’s functions and accuracy. A skill level is assigned to a person through an authorized language examination called the Oral Proficiency Interview(OPI). Examiners assign a level on a variety of performance criteria exemplified in the descriptive statements.